"Wow! Senior Sister and I are space pilots!" A girl reads her composition about her father, Admiral Yuzo Takaya. Her "daddy" is the commander of the first super-light spaceship Lukushiyon and she dreams to be a space pilot someday and go into space with her father. The space ship never returns to earth and is destroyed in the Cygnus Constellation some 250 lightyears from earth. As a few dozen crew members return, the newspapers wonder if it was poor judgement of the commanding officer or if deadly aliens were encountered. Nearly six years later, the girl, Noriko Takaya, is nearing graduation from school and must choose a career. She decided she must follow the footsteps of her father and go out into space. Episode 1 - "Wow! Senior Sister and I are space pilots!" Noriko is in the space academy but is having difficulty with the technical side of things such as robot control. 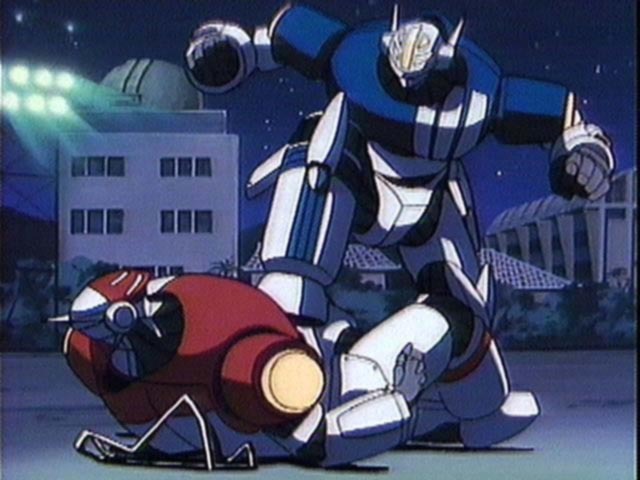 As she trains with her friend Kimiko, other students in robot suits come by and accuse Noriko of attempting to use her father's former position to get her into the space core. Senior Sister Kazumi Amano interrupts the other student's picking on Noriko and sends them off. 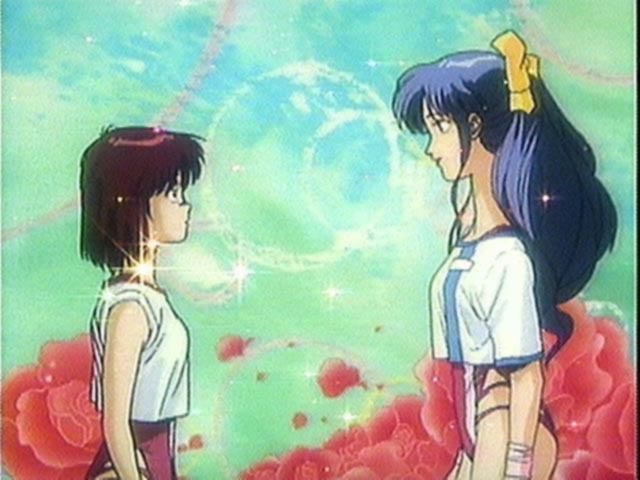 Noriko is in awe of Amano as her strength and grade represent all Noriko wants to be. Amano tries to steer Noriko towards mastering controlling the robots but Noriko is uncertain and afraid of the complexity of the machines. She is convinced the Amano's abilities come are innate, even if Amano tells Noriko otherwise. Later, the new coach Ota takes charge of all the students. A world wide project has been initiated to combat the aliens encountered by the Lukushiyon. The best youth from around the world are in the process of learning how to be fighters with the RX series of robots. Coach gets right to work and Noriko finds she cannot keep up with the others as she struggles with the manual controls of her machine. Later the two cadets who will graduate and become part of the space force are announced. No one is more surprised than Noriko when she learns that she has been made an ensign along with Senior Sister. Students begin to suspect that Noriko somehow pulled strings and begin to call her the Daughter of Defeat after the great loss by her deceased father. Senior Sister Amano talks to Coach Ota about the appointment trying to find out why someone who has only been in the academy for a month would be appointed while more experienced students are passed up. Coach survived the Lukushiyon's destruction and purposefully chose Noriko because she is the daughter of Admiral Takaya. Amano is upset at Coach's mysterious reasons and argues for a different choice. Coach is adamant and only sites the all of humanity is at stake and that Amano will understand once she has gone into space. Noriko overheard Amano's conversation with Coach and is upset that the only student that isn't upset with her is Kimiko. Posters proclaim that The Daughter of Defeat should return to Osaka. After more difficulties with her training she goes to coach and pleads for him to reconsider. Noriko is convinced that she has no talent and has no right to be paired with Amano. Coach takes her to see Amano train. Wearing iron boots, Amano runs up stairs. Noriko is again in awe of Amano, in awe of her "natural" talent. The coach disagrees and points out to Noriko that talent with the complex machines isn't something Amano was born with but was something she developed with effort. Coach sees a natural ability in Noriko and natural ability that can only be brought out to its fullest if she works at it and stops letting her fear of not having a natural talent getting in the way. Noriko begins training like she has never trained before. Third year student Kasiwara is upset at Coach's decision of selecting Noriko over her. Coach refuses to answer. As Kasiwara persists, Amano chides her for her shame in continuing to protest. Determined to prove herself, Kasiwara challenges Noriko the night before she leaves for space. 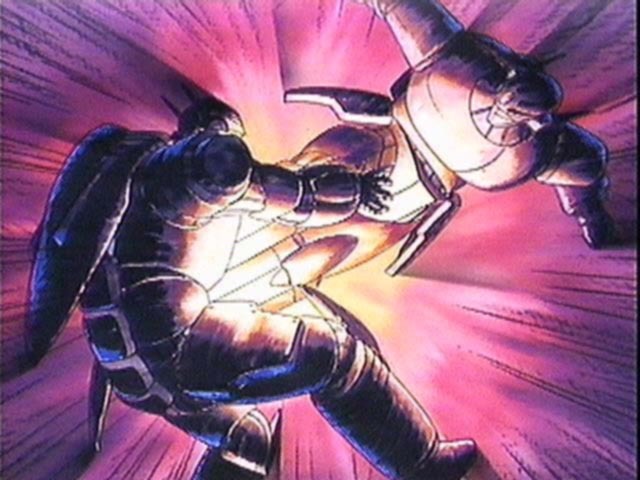 Kasiwara quickly begins pounding Noriko's robot. Confused and frightened Noriko cries to Coach for help on what she should do. A voice replies coach's earlier words on how she must learn to work alone as no one will be around to help you in the depths of space. Noriko knows she must concentrate. Noriko finds an inner strength and clarity, turns off her monitors and takes the offensive. In a flash, Noriko evades Kasiwara's melee and retaliates. In on move, Noriko cries "Thunder bolt kick!" launches her robot into action and decimates Kasiwara. The on looking crowd, moments before certain of Noriko's defeat, stare in disbelief at the sudden turn of events. Noriko and Amano are to be members of the TOP attack group. At the airport they say farewell to their classmates and leave with Coach for the orbiting space station where they will "Aim for the TOP."